The FuturICT project, based in the European Union, seeks to create a simulation, visualization and participation platform - the Living Earth Platform. This platform will power Exploratories, to detect and mitigate crises in the future history of our planet. The FuturICT Knowledge Accelerator is a previously unseen multidisciplinary international scientific endeavour with focus on techno-socio-economic-environmental systems. 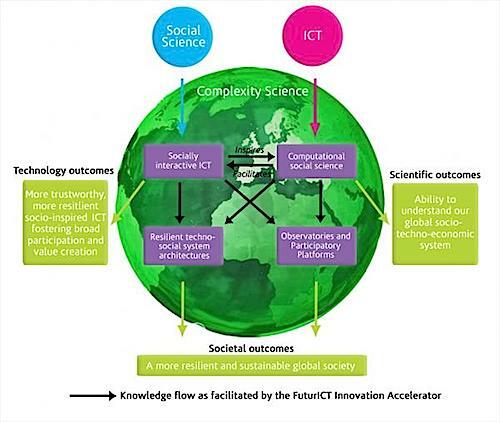 The ultimate goal of the FuturICT project is to understand and manage complex, global, socially interactive systems, with a focus on sustainability and resilience. Revealing the hidden laws and processes underlying societies probably constitutes the most pressing scientific grand challenge of our century and is equally important for the development of novel robust, trustworthy and adaptive information and communication technologies (ICT), based on socially inspired paradigms. FuturICT as a whole will act as a Knowledge Accelerator, turning massive data into knowledge and technological progress. In this way, FuturICT will create the scientific methods and ICT platforms needed to address planetary-scale challenges and opportunities in the 21st century. Specifically, FuturICT will build a sophisticated simulation, visualization and participation platform, called the Living Earth Platform. This platform will power Exploratories, to detect and mitigate crises, and Participatory Platforms, to support the decision-making of policy-makers, business people and citizens, and to facilitate a better social, economic and political participation. 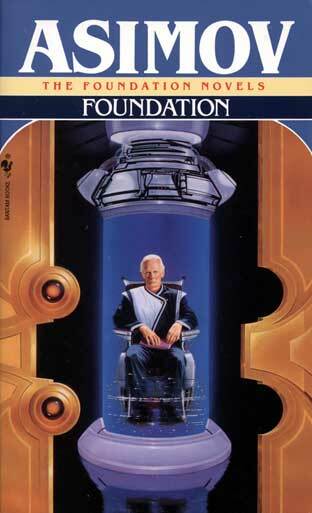 This kind of information is central to creating a real science of psychohistory, Isaac Asimov's pseudoscience from his 1951 novel Foundation.